Vivo just introduced its flagship NEX series smartphone with dual displays as it had promised. The main highlight of the smartphone is its 6.39-inch Full HD+ Super AMOLED screen with 91.63% screen-to-body ratio and a secondary display on the back with 5.49-inch FHD resolution. It is powered by Snapdragon 845 with 10GB of RAM and runs Android 9.0 (Pie) with Funtouch OS 4.5 on top. It has a 12-megapixel rear camera with Sony IMX363 sensor, 4-axis OIS, similar to the first-gen NEX, but this uses a 2-megapixel secondary night vision camera with 2.9μm pixel size, as well as additional TOF 3D Sensing camera for high-precision 3D depth information using 300,000 infrared points. The 3D TOF camera can be used for face lock, for enhanced facial recognition, personalized beautification as well as payments. There is 16 RGB lights at 24.6mm diameter arranged circularly that can be used as a notification LED or when capturing selfies. The phone has an in-display fingerprint sensor which promises 17% better unlocking compared to the predecessor at just 0.29 seconds. It packs a 3500mAh battery with 22.5W fast charging. The Vivo NEX Dual Screen phone comes in Ice Blue and Star Purple colors with gradient finish, is priced at 4998 yuan (US$ 724 / Rs. 52,080 approx. ), available for order and will go on sale in China from December 29th. 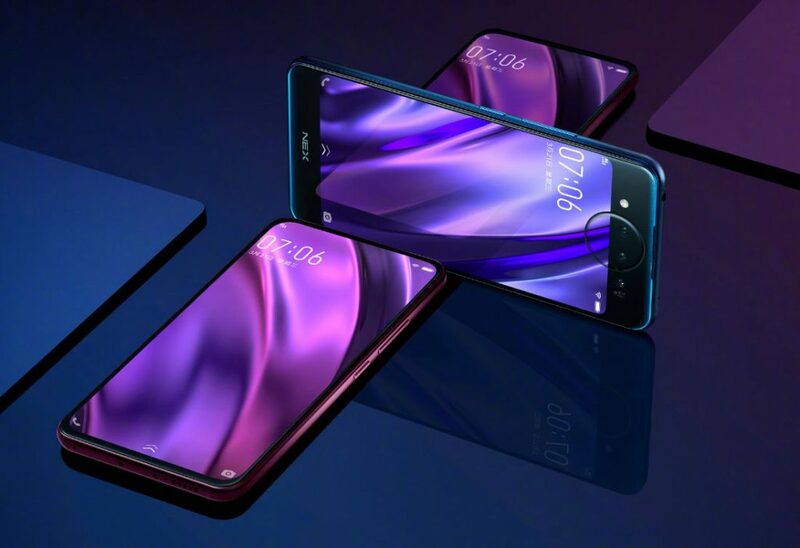 As Vivo’s premium line-up, the NEX series offers not only an extraordinary user experience to consumers, it also unleashes our imagination towards the future of design and development of smartphones. 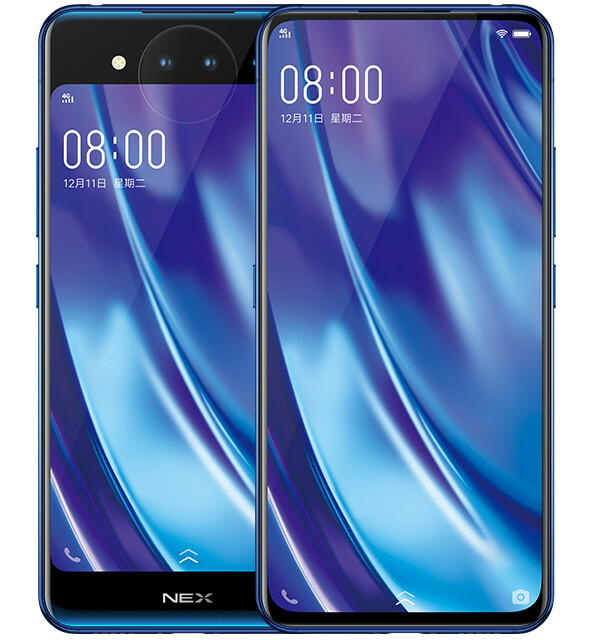 Combining a futuristic dual-display design and innovative technologies, NEX Dual Display Edition demonstrates Vivo’s continuous exploration and pursuit of exceptional innovations for consumers.